Cipro is used for treating infections of the chest, urinary tract and of the gastrointestinal system. It enters the bacterial cell wall in inhibits the formation of an enzyme called DNA Gyrase. Cipro may be used with or without food. Ensure that you increase your fluid intake while taking Cipro to prevent formation of crystals in the urine. How & where do I store Cipro? •	If you have recently received a live, oral typhoid vaccination or you are taking cisapride or tizanidine. Cipro is known to cause drowsiness or dizziness. Your vision may be blurred and your judgement affected if you consume alcohol with this medication. So, avoid using alcohol while using Cipro. Certain prescription drugs or health supplements or even food items are known to interact with the effects of medications. Cipro is known to have possible interactions with the following medications. •	Cisapride or class 1A or class III antiarrhythmics (eg, quinidine, procainamide, amiodarone, sotalol), Corticosteroids (eg, prednisone), Arsenic, nonsteroidal anti-inflammatory drugs (NSAIDs) (eg, ibuprofen), or probenecid, Anticoagulants (eg, warfarin), arsenic, cyclosporine, methadone, methotrexate, sulfonylureas (eg, glyburide), theophyllines, tizanidine, or xanthines (eg, theophylline), Hydantoins (eg, phenytoin) or live, oral typhoid vaccine. 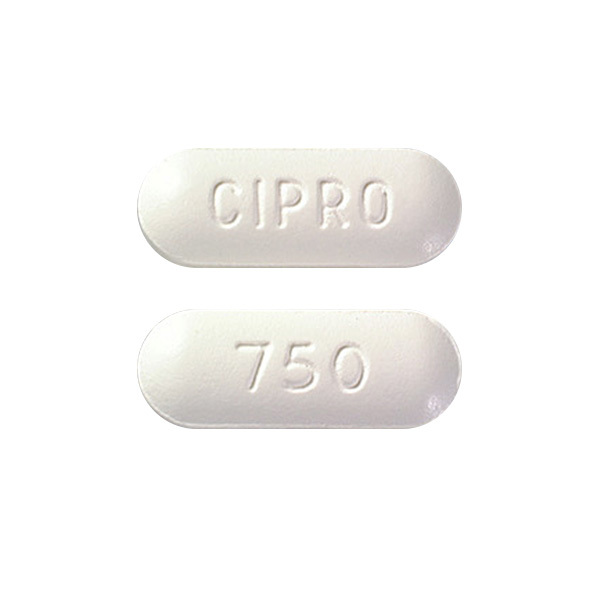 Cipro is an antibiotic that is effective only in the treatment of bacterial infections. It will not be effective against viral infections like cough and cold. Antibiotic treatment must be monitored closely by doctors because prolonged treatment increases the resistance of the bacteria against Cipro. A future bacterial infection becomes severe and difficult to treat. Cipro is categorized under FDA category C.
•	Anxiety, diarrhea, dizziness, headache, loss of appetite, nausea, nightmares, restlessness, stomach upset, vision changes, vomiting. •	Severe allergic reactions (rash, hives, itching, difficulty breathing, tightness in the chest, swelling of the mouth, face, lips, or tongue), agitation, bizarre behavior, bloody stools, chest pain, convulsions, dark urine (or unusual change in amount of urine), depression, dizziness, easy bruising or bleeding, fever, chills, or unusual cough, hallucinations, increased pressure within the head, inflammation, pain, or rupture of a tendon, irregular heartbeat, joint pain or swelling, loss of appetite, loss of consciousness, mental changes, moderate to severe sunburn, muscle pain, nervousness, oral thrush, pain, pale stools, persistent sore throat, red, swollen, blistered, or peeling skin, seizures, severe or continuing diarrhea, sleeplessness, stomach cramps/pain, suicidal thoughts, tingling or weakness of arms and legs, tremors, unusual fatigue, vaginal yeast infection, yellowing of the skin or eyes.